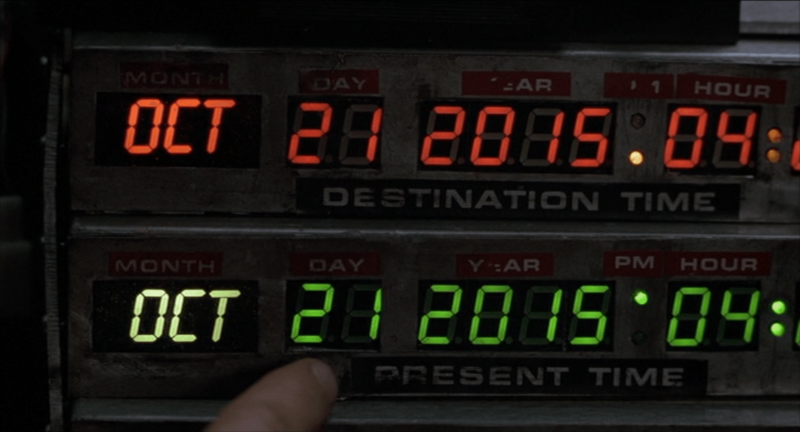 Sciblogs | It’s Back to the Future Day today – so what are the next future predictions? Some of the technologies predicted are now a reality of sorts, but the world of Back to The Future II is not quite what we see around us today. The movie makers didn’t envisage the abundance of smartphones and other technologies that dominate our lives today. But Hollywood is always a little hit or miss when it comes to future predictions. So let’s see if the tech experts of today are any better. The Conversation asked what they would predict for the technologies in use 30 years from now, on October 21, 2045. Back to the Future II envisioned a connected future that is almost here, but it didn’t go far enough! By the year 2045, the word “computer” will be a relic of the past, because computers as we know them will be built so seamlessly into every facet of our lives that we won’t even notice them anymore. Every device around us will become a possible input and output device for us to access a seamless computing experience customised to our own particular needs, and fed from our own personal repository of information stored privately and securely in what we today call the “cloud”, but in the world of 2045 might simply be our digital essence. It’s hard for us to imagine it now, surrounded by individual devices like our phone, tablet and laptop that each require separate configuration, but by 2045 those devices will be much less important, and we will be able to move away from these individual “personal” devices towards a much more ubiquitous digital existence. The world of 2045 will be a world of truly ubiquitous, continuous computing, with the personal smartphone and tablet as much of a novelty as the paper sports almanac was to Marty in 2015! The video conference where Needles goads Marty Snr into participating in a scheme that gets him fired got things about right, although Marty would be more likely to use Skype or something similar today. So what might telecommunications look like in another 30 years? 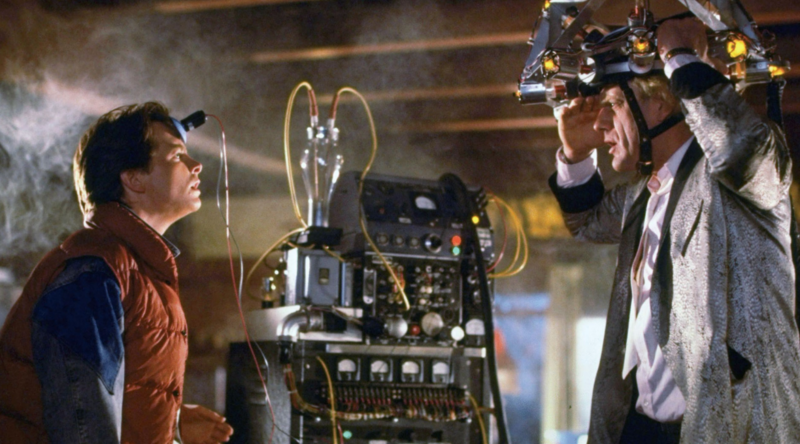 Perhaps Doc Brown’s brain-wave analyser will be perfected, making telepathy a feasible network interface. This technology is surprisingly advanced. It has been possible for some time to control machines through brain control. Perhaps we will have those contact lenses from Torchwood that transmit everything the wearer sees. There have been some developments that might make them possible. But perhaps change will continue at a much slower pace than the past few decades. Maybe we will see a return to evolutionary rather than revolutionary change and the technologies we have now will still be around – much faster, more sophisticated and ubiquitous of course, but still recognisable. Or maybe some combination of economic, social and environmental apocalypse will cause the collapse of existing infrastructure and telecommunications will be back to pencil and paper or something even more primitive. As many people have pointed out, it is hard to make predictions, especially about the future. The DeLorean time-machine that brought Doc and Marty to today. 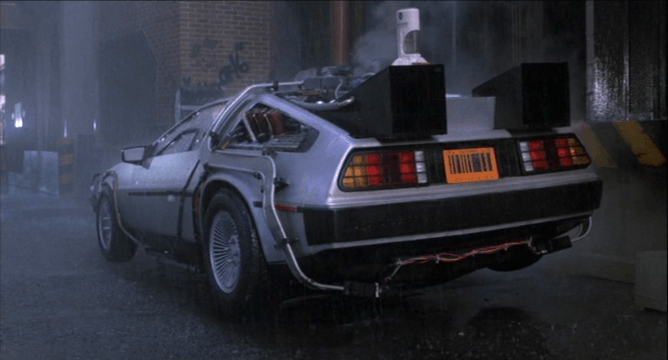 Flight vehicles are mostly represented in the form of flying cars – as opposed to commercial aircraft – in Back to the Future II. Looking forward to 2045, commercial aviation is likely to have seen significant changes between now and then thanks to breakthroughs in several industries including electronics, software engineering, materials research, jet propulsion and automated manufacturing. Cutting-edge technology being researched today – in many cases with Australian researchers involved – will have matured by 2045. Advances in fly-by-wire and computer software will likely have made pilots obsolete in 2045. Flying will become a hobby as opposed to a profession, the same way that today we ride horses for fun rather than transport. Airplanes will be lighter with structures consisting of composite materials and embedded with sensors that will allow “smart” aircraft structures to monitor their structural integrity and repair themselves in the case of damage. The use of petroleum-based gasoline will be considered primitive, if not illegal, and sustainable biofuels will have emerged as a widely used clean alternative. Jet engines will reach new heights in efficiency, making flying cheaper and more accessible to the masses. The mega-rich of 2045 may have scramjet-powered airplanes that can break the sound barrier multiple times over and result in a London-Sydney flight taking less than one hour. The price of oil may also increase to record levels and result in the collapse of the aviation industry as we know it! The price of crude oil has a significant impact on airlines’ bottom line as fuel costs typically makes up about 30% of an airline’s operating costs. Hence, the major driver of reduced profitability for airlines are rising oil prices. Finding alternative fuel sources will be key for a greener and safer future for the commercial aviation industry. Our world in 2045 will be fully connected: constantly and autonomously keeping us in sync with the people in our lives, the places where we live and work, and the things we control. These connections enable people to concurrently engage with a multitude of different people, places and things, with people becoming digitally everpresent. Each individual will have a unique global digital identity containing dynamically adjustable privacy-transparency settings. These settings can be adjusted depending upon the level of trust within the environment. Individual lives will be captured digitally and security platforms will actively protect against unauthorised digital access. Data will be owned by the individual who creates it. There will be a property right within data allowing individuals to trade, share and volunteer their data for personal gain – such as providing data to receive targeted advertising and product discounts or, in aggregate, providing demographic information to assist in policy development. Digital everpresence will disturb existing political systems enabling individuals to transcend territorial boundaries and wield digital influence outside of the nation state. Everpresent personas will disrupt domestic political orders transforming the Earth. 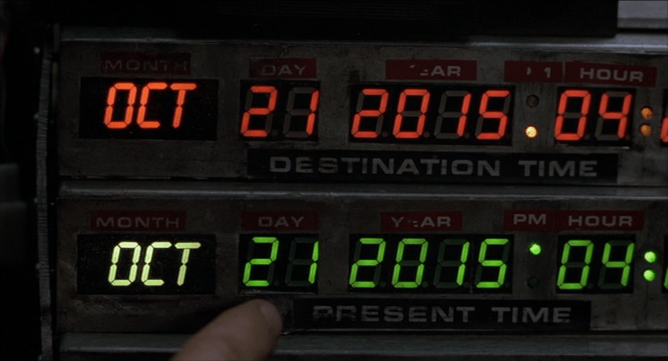 Today’s date with the future. Interfaces will have become seamless by 2045 and are accessed continuously through familiar, unconscious actions. During your morning run, body radar triggers a gentle vibration against your skin; someone is approaching around a blind corner. In the kitchen, active contact lenses create the illusion that your friend is with you, by generating an image and overlaying it on the room. The image is stable, no matter how your head and eyes move. In conversation, she is present but also thousands of kilometres away. At your desk, the contact lenses create the illusion of a screen in front of you. Its actions are controlled by finger gestures, while your rapid, subtle muscle movements are interpreted as a stream of text to be captured in an email. Through your neural implants, you are aware of activity in your networks. These are not sounds, or images, or touch but some mingling of them into a new form of sensation. You try to contact your mother, but she is offline, perhaps sleeping. No matter, her house can sense her and assures you that she is well. You decide to go offline yourself for a while, and your sensors fall quiet. As always, it feels like a kind of blindness – like closing one’s eyes for sleep, but so much more acute. You are surrounded by just the peaceful emptiness of reality. Where we’re going, we won’t need roads – at least, not all of the time. By 2045 the much-mocked flying car (or, more accurately, a flying taxi) is likely to be widely available. Furthermore, my own discipline of software engineering is key – perhaps even the key – to making it happen. Even today, we could mass-produce personal helicopters at an affordable financial cost, but at a terrible human one. Helicopters are extremely difficult to learn to fly, and even with extensive pilot training are arguably the riskiest form of transport we use. The science of a solution is already to hand. We don’t walk the family dog with a drone mini-helicopter, as depicted in the 2015 of Back to the Future II, but drones are a widely available commercial product. Developing the software that controls these miniature flying cars to the point where it is both reliable and robust enough to control much larger vehicles in real-world conditions – including handling hardware failures – will take years of testing and revision. Convincing conservative air safety regulators will probably take years more. But my educated guess is that these problems will be overcome by 2045. The result won’t look like a hot-rodded DeLorean, and it certainly won’t double as a time machine. But, finally, humanity just might have the freedom of the skies. My background is in artificial intelligence so I’ll stick to predicting where AI might be in 2045. In 2030, Apple releases the latest version of its platform wide operating system, iOS 20 which delivers true artificial intelligence in all the major languages of the world to our phones, tablets and computers. Google responds with its latest version of Android which offers similar capabilities but has a cheekier sense of humour. You want to go out for dinner? You simply tell your smart phone: “Book me a table for 8pm at that restaurant I read reviewed in the paper last weekend and let my wife know.” Problem solved. And by 2045, Apple and Google’s AI operating systems are competing to control seamlessly our cars, homes, phones and offices. In the morning, you walk to your car, which is already nice and cool as the front door said you were on the way. The car then drives you to work autonomously. But due to heavy traffic en route, your calendar pushes back your first appointment 15 minutes. The technology is pro-active, anticipating requests, and smoothing your life. But then some robot digger repairing the road digs up the NBN cable by mistake and the cloud goes down. Michael Cowling will be on hand for an Author Q&A between 11am and noon AEDT today, October 21. You can ask him about your prediction for the technology that will be in use in 30 years from now?